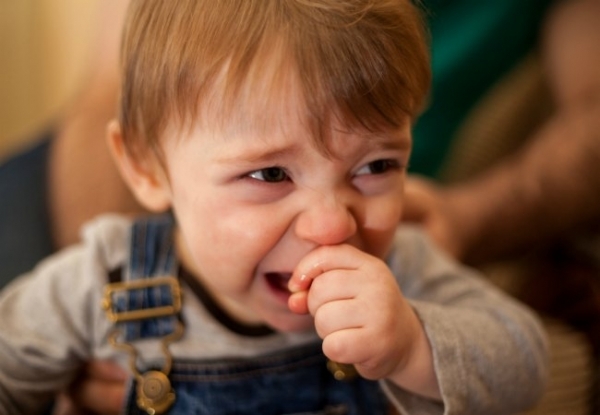 When toddlers become aggressive and hit, bite, and hurt others, parents quickly become alarmed. Rest assured that although this behavior is certainly not what we want to see in our kids, it is normal. It doesn’t mean that your child is bad or has an anger problem. It simply means that your child has an immature brain that cannot process the flood of emotion he or she is experiencing. It isn’t naughtiness that drives aggression – it’s frustration or fear. That’s an important distinction because when we see a child as being frustrated or afraid instead of mean or bad, we are moved to respond with compassion rather than anger. It’s clear that spanking makes kids moreaggressive, and time-out doesn’t work either. According to Jessica Grogan, PhD, “research suggests time-outs may have detrimental neurobiological effects comparable to those of spanking.” The relational pain caused by time-out is very similar in the brain to the physical pain caused by hitting a child. That’s because “social isolation and rejection are experienced as shame,” says Mary Lamia, PhD. “Shaming experiences lead children (or adults) to believe their entire self is bad rather than just their behavior…In order for the child to cope with shame, he or she will typically respond by attacking oneself, attacking others, withdrawal, or avoidance.” Punishment causes more problems; it doesn’t solve any. Discipline is not the same as punishment. Discipline is about teaching a child how to do better. The two most important things to remember is 1) do no harm and 2) be mindful of what you are modeling. What do I mean by “do no harm?” Don’t respond with your own aggression which will scare or further frustrate your child. Don’t isolate, smack, shame, or punish. These actions cause either physical or emotional harm that only make the problem worse. While the behavior may appear to stop in the short-term, your child will only learn to suppress their feelings and those feelings do not just go away. Bad feelings eventually manifest in one way or another and could lead to anxiety, trouble sleeping, tantrums, etc.